Leadership Gulf Coast is a program of the Mississippi Gulf Coast Chamber of Commerce, Inc., which is a nonprofit organization. The mission of Leadership Gulf Coast is to understand real problems and opportunities in the community, and to create a communication network between present and emerging leaders dedicated to the improvement of the Mississippi Gulf Coast. Approximately 900 individuals have graduated from this program. 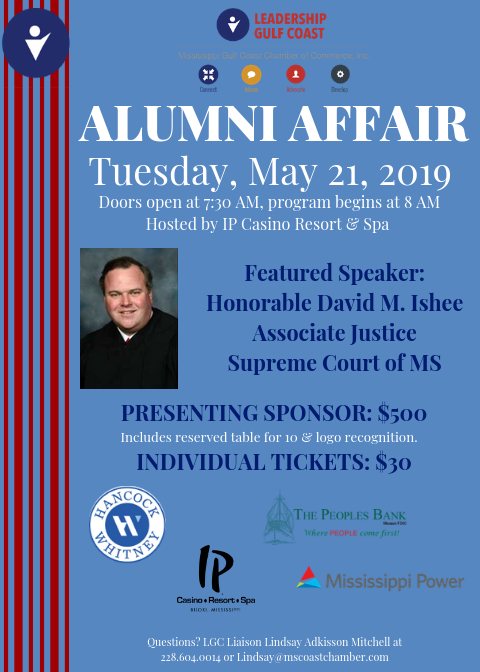 Each year the alumni are convened at an annual breakfast where they are charged with utilizing their capabilities and progress into higher positions of authority in our community.